Cool carpet, pandas and selfies...No flooring project should be this fun! It’s not too often that our team gets THIS excited for a completed flooring project. 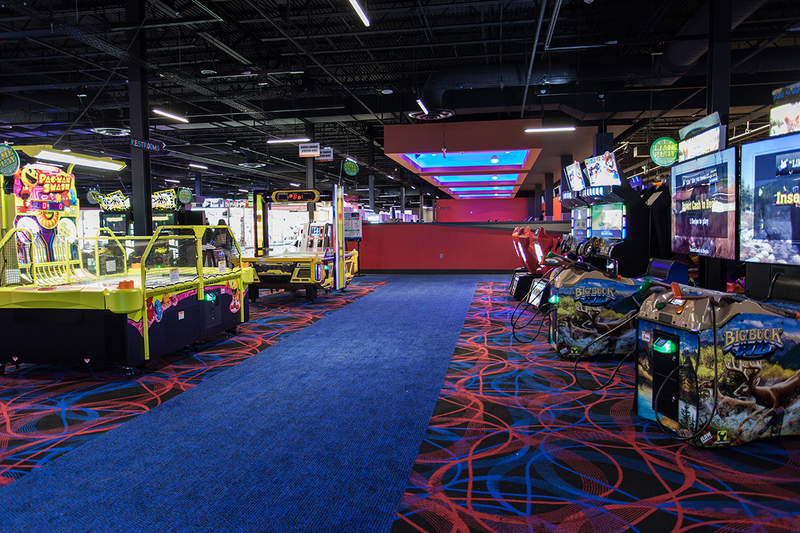 Inside of Round 1, a new state-of-the-art entertainment facility in the Exton Square Mall in suburban Philadelphia, lies more than 60,000 square feet of fun! The store offers bowling, billiards, arcade games, darts, ping pong and food and beverages (adult beverages too). 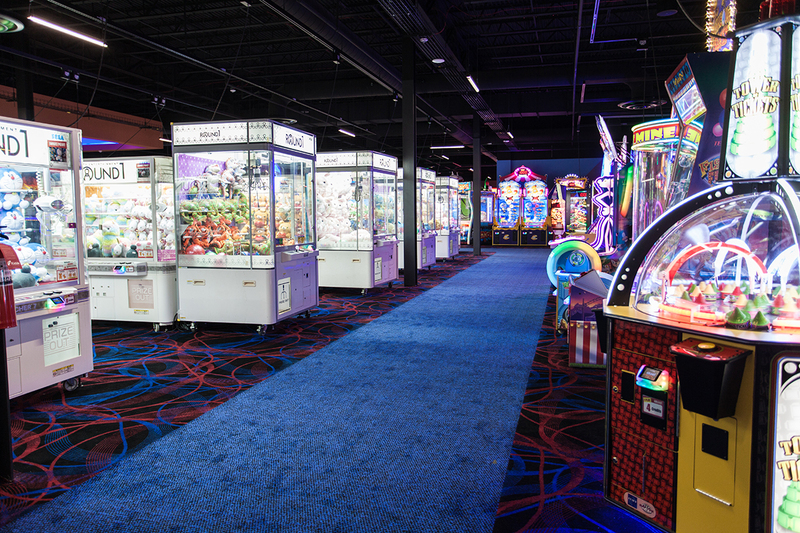 The arcade floor is full of claw games for any plush toy addict. 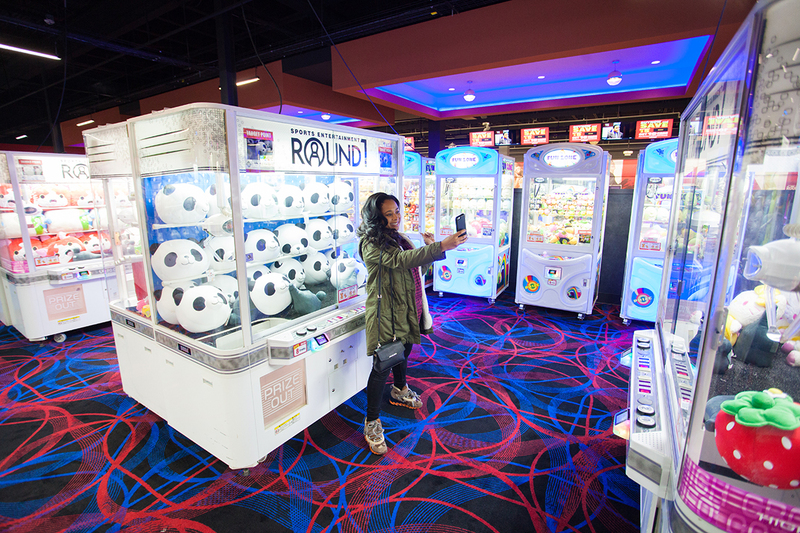 Similar to other family entertainment centers, Round 1 has a little something for all ages, but, has a Japanese kawaii twist. Members of our team have been patiently waiting for this project to complete to enjoy the facility with friends and family. The Smith Flooring solution; a vibrant design that leaves a lasting impression paired with durability for high traffic. Astro Mills Carpet, specializes in bright colorful fluorescent carpet that is long lasting and low maintenance. This carpet was installed throughout the all the arcade areas. 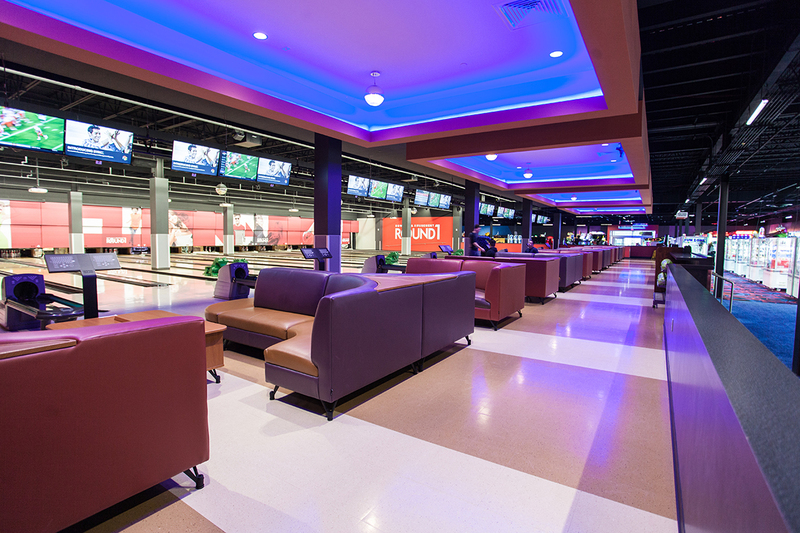 For the bowling areas, where safety is top priority, Smith Flooring installed Armstrong Standard VCT to protect customers from slipping and falling when entering the bowling lane areas, perhaps carrying food and beverage. Armstrong VCT is a staple in commercial flooring, best known for it lasting beauty in high-traffic areas. With family being the cornerstone of Smith Flooring values, we are always excited to complete projects that promote community and bring folks together. Perhaps you have a family or children’s facility that could use updating, or opening an indoor play or pool area that needs flooring that is both dynamic and safe. Email our team of experts at info@smithflooringinc.com. They are here to help.